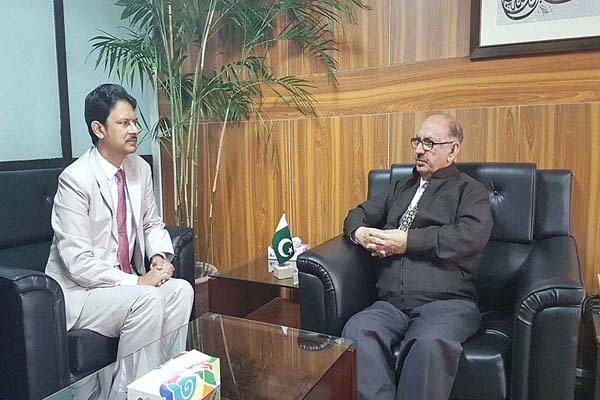 ISLAMABAD, Dec 19 (APP): Advisor to Prime Minister on National History and Literary Heritage Division, Irfan Siddiqui Monday emphasized on refraining from actions that may hurt public sentiments in view of shared bilateral relations between Pakistan and Bangladesh. He was speaking during a meeting with High Commissioner of Bangladesh to Pakistan Tariq Ahsan called on him here. Irfan Siddiqui said, “Pakistan aspires to maintain and promote cordial relations with all countries of the region especially Bangladesh as both the countries were tied in common bonds of religion, heritage and history”. Tariq Ahsan formally invited Irfan Siddiqui to attend a conference which would be held in Bogra on January 21, 2017 arranged by South Asian Association for Regional Cooperation (SAARC).